Gilles Villeneuve comfortably led the first half of the race and was looking set for his first victory, only for a touch of impatience to set in while lapping backmarkers. He crashed out, leaving teammate Carlos Reutemann to win from Mario Andretti and Patrick Depailler. Jenson Button’s race started out decent and the got progressively worse. 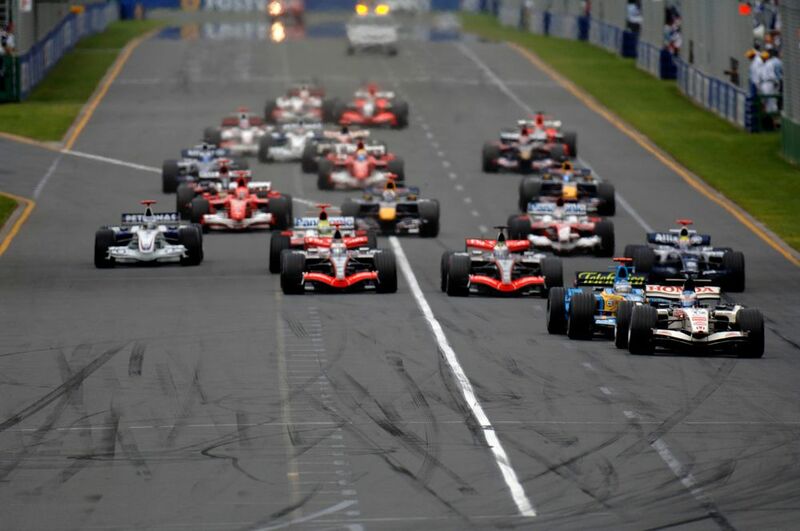 He started on pole and led the first lap, but following a safety car was passed by Fernando Alonso and then Kimi Raikkonen. 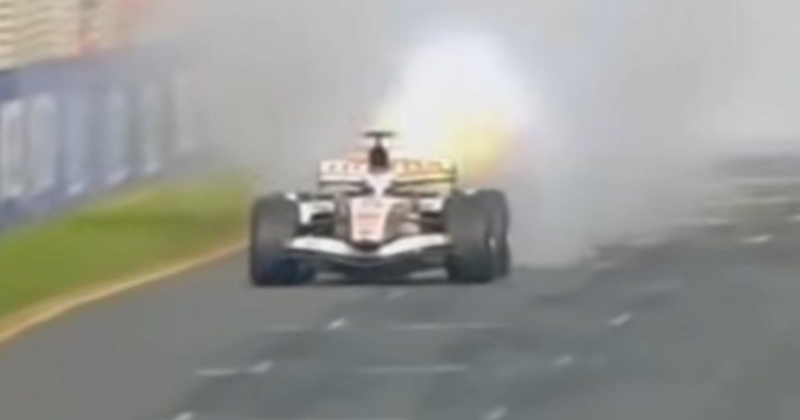 He slipped down the order and was running fifth in the closing stages, only for his Honda engine to spectacularly blow up - right in the face of the chasing Giancarlo Fisichella. He could have coasted to the line to finish sixth, but was told to stop before the line by his team as rules at the time meant that he would avoid a grid penalty for the next race if he didn’t finish. Up at the front Alonso won from Raikkonen, with Ralf Schumacher finishing third for Toyota in what would be the last podium of his career. Mark Webber was in contention for a podium until he was struck down by his typical bad luck - he was running ahead of Ralf and even took the lead during the pit stops, only for the gearbox of his Williams to fail while out in front. Scott Speed picked up a point for eighth, only to be hit with a penalty for ignoring yellow flags, which dropped him to ninth - his F1 career ended mid-way through the following year having never scored a point. Sir Jack Brabham (born 1926) made his debut in 1955 and in 1959 became the first driver to win a championship in a rear-engined car when he pushed his Cooper over the line (literally) in the US GP. The following season he added another title, but it was when he set up his own team that he really cemented himself as an F1 legend. 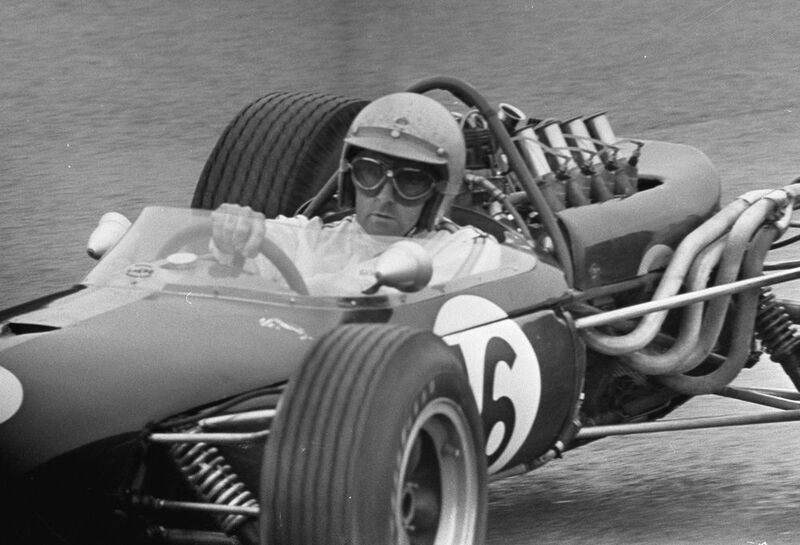 He drove for his own team from 1962 until the end of his career and remarkably added a third championship in 1966, becoming the only person to ever win a title in a car bearing his own name - an achievement that will surely never be matched. His final season came in 1970 where, even at the age of 44, he was still fast enough to win races - with a more reliable car, he might have even been able to challenge for the championship. Gino Munaron (born 1928) started five races in the 1960s, mostly driving a Cooper, but his best finish actually came with an outdated Maserati 250F in the Argentine GP. Often cited as perhaps the greatest motorcycle racer of all-time, Mike Hailwood (born 1940) first raced in F1 between 1963 and 1965, during which time he was still racing - and winning titles - on bikes. As his two-wheeled career wound down in the late 1960s he gave single-seaters and returned - appropriately - with the Surtees team in 1971. His best result was a second place for the team in the 1972 Italian GP, and he added a second podium for McLaren in the 1974 South African GP. He retired after being injured in a crash at the Nordschleife later that year. Though he didn’t quite manage the F1 success of fellow motorcycling legend John Surtees, Hailwood did finished runner-up in the 1971 F5000 championship and then won the European F2 title the year after, beating the likes of Niki Lauda and Carlos Reutemann. Impressively, Hailwood came out of retirement to race bikes again in 1978 and ended up winning that year’s Isle of Man TT. Fabrizio Barbazza (born 1963) made his debut with the struggling AGS team in 1991, failing to qualify for all 12 races he entered. In 1993 he was back, this time with Minardi, and managed to scored a pair of sixth places in the European GP at Donington Park and then the San Marino GP at Imola. However, although fast, he was a bit of a wild driver and the team replaced him with Pierluigi Martini after eight races.